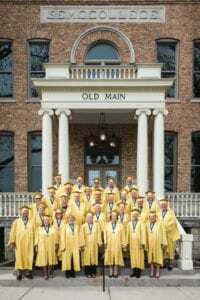 North Park’s Golden Circle is an honor extended to all graduates when they reach their 50-year class reunion. This very special milestone is not only a great chance to catch up with former classmates and celebrate your collective lifetime of achievement, it’s an honor for the University to recognize and celebrate you, as well. Please contact Alumni Relations via email or at (773) 244-4750 with any questions. Class of 1969, Golden Circle will take place on May 10–11, 2019. A group rate has been arranged for the following hotels. Call by April 26 and mention North Park University when making your reservation.